Seventy service stations on England’s motorway network now have electric vehicle charge points. This equates to 72% of the 97 total. Of the 165 individual charge points, 92% are rapid, allowing batteries to be almost fully replenished in around 30 minutes. RAC Foundation analysis of data from the publicly available, government established, National Charge Point Registry shows that an electric vehicle driver will now be no more than 20 miles from a service station charge point on 98% (1,831 miles out of 1,859 miles) of the motorway system in England. When the analysis is broadened out to the whole of the Strategic Road Network managed by Highways England – not just motorways but also major A roads – then 82% (3,845 miles out of 4,668 miles) of the system is within 20 miles of a charge point. “Electric car drivers might still struggle to drive from Land’s End to John o’ Groats but they can now travel from Southampton to Perth in a relatively straight line and be confident of being able to ‘fill up’ along the way. 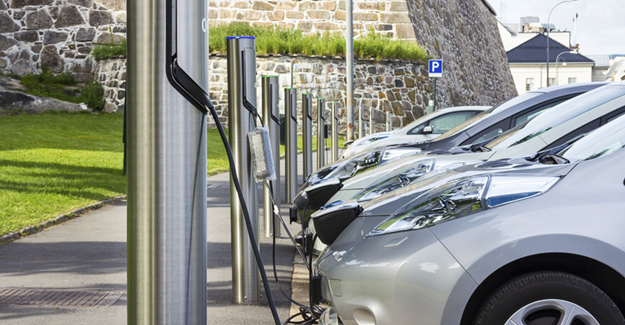 “The growing charge point network is good news but there are important caveats. “Though many of the charge points are rapid, it will still take at least 20 minutes to fully charge a battery, which is fine if you’re first in line but could be a challenge if the hoped-for take up of electric cars materialises and you’re stuck at the back of a long queue. There are currently just over 20,000 battery-only vehicles licensed in the UK. Where a service station is to be found on both sides of a carriageway it has been counted as a single station.